The University of Mysore is among the foremost institutions of its kind, and is an enduring symbol in the sphere of higher education in India. It was founded by the then Maharaja of Mysore, His Highness Sri Krishnaraja Wodeyar IV and his Dewan, the renowned engineer - statesman, Sir M. Visvesvaraya, on July 27, 1916. 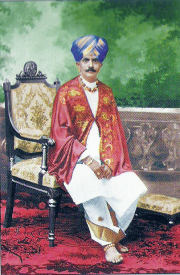 The Maharaja of Mysore became its first Chancellor. A Bill to establish and incorporate the University was introduced in Mysore Legislative Council in 1916. It was passed unanimously on 17th July 1916. The first meeting of the University Council was held on 12th August 1916 and the first meeting of the Senate on 12th October 1916. The University of Mysore became the first University outside the domain of the English administration in India, the sixth University in India as a whole, and the first ever University in Karnataka. During the institution of the University in 1916, four faculties were constituted viz., Arts, Science, Engineering and Technology, and Medicine. Seperate Boards of Studies and Boards of Examiners were constituted in 28 subjects. The University was also administering 12 other educational institutions. The first Act of the University came in the year 1933 (University of Mysore Act 1933). The first report of the curriculum followed by different departments is available in the University's Calendar 1947-48. The University offered a two-year intermediate Course, three year B.A. (Hons), B.Sc.,(Hons) Degree Courses and M.A., M.Sc., Courses. There were also the faculties of Medicine and Engineering. The University also offered Diplomas in vocational subjects. The University Extension Lectures and Publication Bureau were notable features of the University. The main campus of the University, created in 1960, lies in a picturesque area of 739 acres at the western end of the Kukkarahalli Lake. The University headquarters, the Crawford Hall, is located right across the lake on the eastern end. 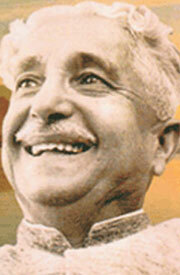 This inspiring locale of the campus was aptly named Manasagangotri (Fountainhead of the Ganges of the Mind) by the poet-laureate, Dr. K. V. Puttappa (Kuvempu). In due course, two satellite campuses were set up in response to the demands of post graduate education from semi-urban/rural areas: Sir M. Visvesvaraya Post Graduate Centre at Tubinakere in Mandya, and the Mysore University Post graduate Centre at Hemagangotri in Hassan. In the beginning, the entire Princely State of Mysore comprising of nine districts came under the jurisdiction of the University. Now it is confined to Mysore, Mandya, Hassan, and Chamarajanagar districts. The remaining areas come under the Bangalore University (1964), Mangalore University (1980), and Kuvempu University (1987). The institution, incidentally, gave birth to one more University in 1996 when the Institute for Correspondence Courses and Continuing Education in the Manasagangotri campus, got transformed into the Karnataka State Open University. The University now encompasses 122 affiliated colleges and 5 Constituent Colleges (with an aggregate of 53,000 students). In addition, the University has 37 post graduate departments, 8 specialised research & training centres and 2 post graduate centres that together offer about 55 regular academic programmes to 3,500 students. It also runs a number of employment-oriented diploma courses and certificate programmes. The post graduate departments are reputed for excellence in advanced studies and research, and have attracted projects and grants worth crores of rupees from many national and international institutions. The University has developed excellent infrastructure for curricular and co-curricular activities. The Mysore University Library offers a collection of over 8 lakh books, 2,400 journal titles and 1 lakh volumes of journals. The main campus features an amphitheatre, an auditorium, a swimming pool, and hostels for women and men with modern amenities and comforts. 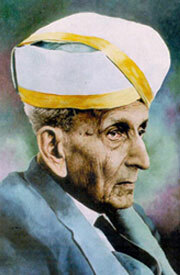 Having served the cause of higher education and research with distinction and dedication for almost the whole of the 20th century, the University of Mysore now envisages the 21st century as an era of even greater growth and success during which it will produce well-qualified and well-motivated youth to serve humanity as teachers, administrators, doctors, engineers, scientists, lawyers, social workers and in various other fields. As it gets closer to its centenary celebrations, the University looks forward to newer ways of fulfilling the vision of its Founding Fathers.